The earliest Florida fossils primarily date to the Eocene Epoch (56-34 mya). It was during the Oligocene Epoch (33-24 mya), though, that the Florida land mass emerged due to a worldwide drop in sea levels. The first terrestrial vertebrates date to this time period and include horses, birds, and various predators. During the ensuing Miocene Epoch (23 – 5.3 mya), large deposits of phosphates formed in various areas of Florida and are now commercially mined. These beds contain some of the richest concentrations of vertebrate fossil material in the state, including the remains of horses, mastodons, and even sabre-tooth cats. The offshore areas are represented by the remains of whales, dugongs, and the iconic Megalodon shark, which obtained lengths in excess of 50'. The teeth from this species of shark, Carcharodon megalodon, are perhaps the best known and certainly one of the most highly prized fossils of Florida. The Pliocene Epoch (5.3 – 2.6 mya) saw the connection of North and South America and thus the influx of new animal species, including camels, sloths, and even giant armadillos. And, with the Gulf of Mexico now separated from the Pacific Ocean, an extremely diverse molluscan fauna developed in the waters of SW Florida as well. The Pleistocene Epoch (2.6 mya-10,000 years ago) saw numerous fluctuations in sea level due to periods of glaciation. Land animals present in Florida at this time include the wooly mammoth, dire wolves, giant beavers, and other unique large mammals. Finally, in the late Pleistocene, humans arrived in Florida, which coincided with the extinction of many of the larger Pleistocene mammals. 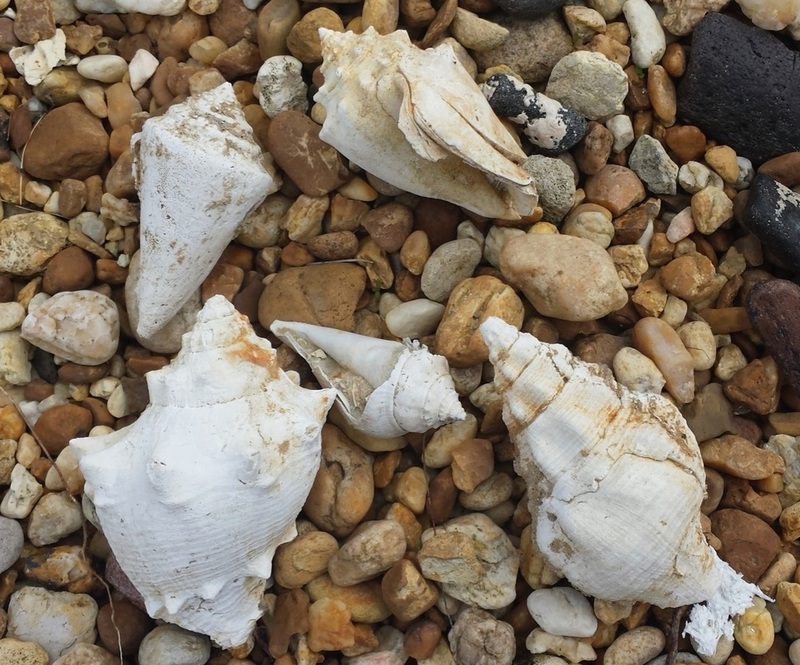 ​Links to help with the identification of Florida fossils are provided below.